I should explain how my reading speed works. Basically, I need to be interested in the book I’m reading to finish it quickly. For example, the book I have had the hardest time finishing in time for review on this site so far has been Heinlein’s Starship Troopers. It bored me silly and I just managed to get my piece published in time, despite it being quite a slim book. So why am I reviewing a book that is over six hundred pages long? I am very interested in Brandon Sanderson. See this is the fellow who has been handed the unenviable task of wrapping up Robert Jordan’s overlong and unwieldy Wheel of Time series. Which I first began reading in 1992. I grew out of the books, but I just want the series to end, so I can find out what happens. So I tackled one of Sanderson’s own books, to see what kind of writer he is. The story begins with a land shrouded in mists and covered in black ash. The Lord Ruler controls the lands of the so-called Final Empire, his reign over a thousand years old. The people his armies enslaved long ago are known as skaa and they believe him to be nothing less than a god. One night in a regional settlement the cries of a young girl are heard as the provincial lord’s men drag her away. The skaa do nothing. Tired and frightened, they accept that this is the way of things. A stranger who has recently arrived goes out into the night in pursuit. When he does not return the people assume the men who kidnap their daughters killed him as well as the girl. In the morning they awake and find the young child they thought lost returned. The castle has been burned to the ground, the soldiers defending it dead and their lord stabbed to death by the stranger. His name is Kelsier and he is what passes for a hero in these times. The Lord Ruler’s capital is known as Luthadel and for most of Vin’s short life she has lived on its streets, stealing to survive. Her brother is gone and she is utterly alone. Until Kelsier, the man referred to by the skaa as The Survivor finds her. He invites her to join his crew of thieves, men who work together and even seem to trust one another. What makes her special? Vin, like Kelsier, is a Mistborn, capable of drawing power from diluted solutions of metals and alloys. Allomancy is an ability restricted only to the nobility who serve the Lord Ruler. Any who hide among the skaa and practice these powers are hunted down and killed by the agents of the Final Empire, known as Inquisitors. All of Kelsier’s men have some ability with alomancy and he has a plan. They’re going to pull off the biggest con of all. Collapse the Final Empire itself. As I was reading, I had this niggling sense of familiarity. A crew of thieves with special powers? A long-con designed to financially cripple a powerful enemy? A hero with a tragic past and a precocious young women with amazing abilities….this is the fantasy version of Inception! (which you can read me kvetching about here and here). It’s also a post-nationalist fantasy, something of a constant since the time of Tolkien. 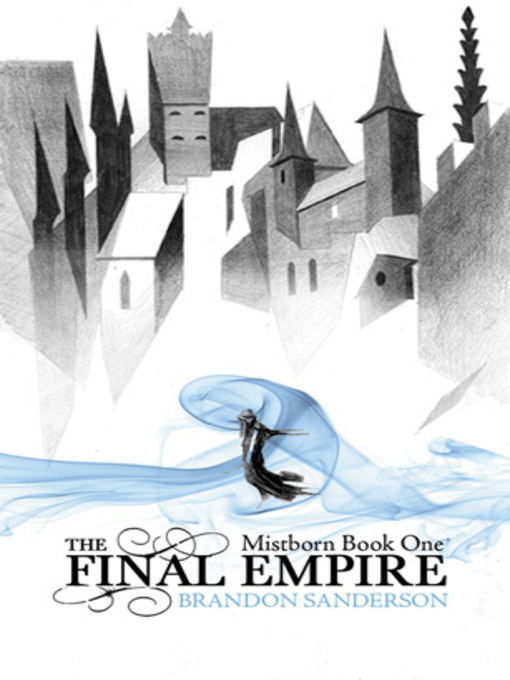 The setting is mostly urban, you have morally gray heroes and a fantastically bleak premise (the jacket reads ‘What if the Dark Lord won?’) – Sanderson has, unwittingly or not, become a torch-bearer for Moorcock’s revisionist take on the fantasy genre. Well developed characters, interesting concepts and a climax that actually delivers (this is the first book in a series), I am impressed.